First item on the list of things to fix from the first version of a bike was the gearing. That version had a direct connection between the pedals and the wheel hub. So for each pedal rotation so goes the wheel. From the last post you can see that the handlebars and seat are now flipped. I.e. the seat is connected to the frame, as on a standard bicycle, and the handlebars steer the front wheel. 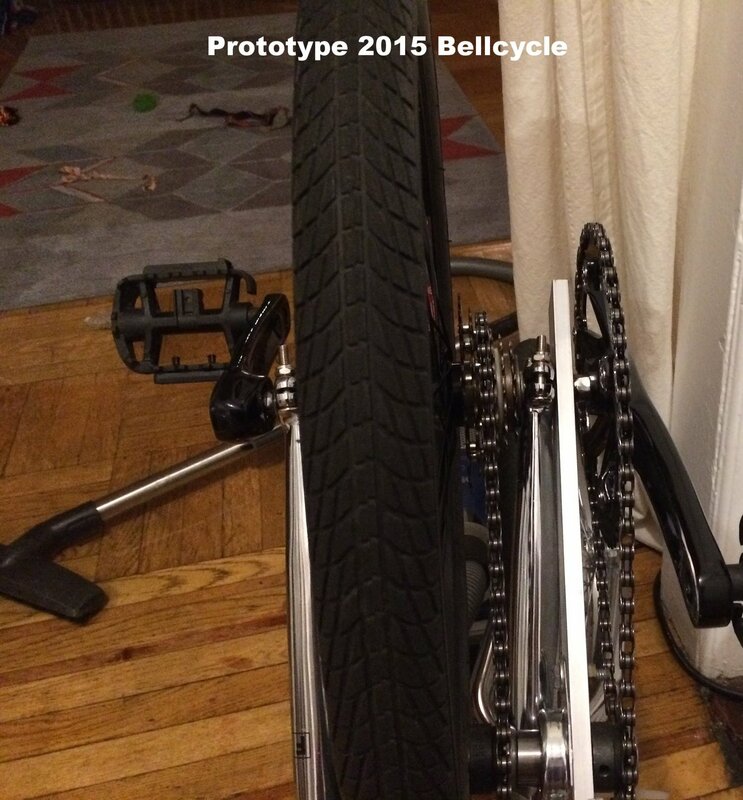 I wanted to keep the cycle compact and was drawn to the idea of the front wheel axle also being the pedal assembly. After some searching I was able to find a bicycle hub that could accommodate a solid axle which I machined myself. As you can see below, a little rough. The pedals are connected to the chainring. From the chainring a loop of regular bicycle chain connects to a “jack” shaft https://en.wikipedia.org/wiki/Jackshaft which transmits the pedal force through another chain loop to the 9 speed freewheel. 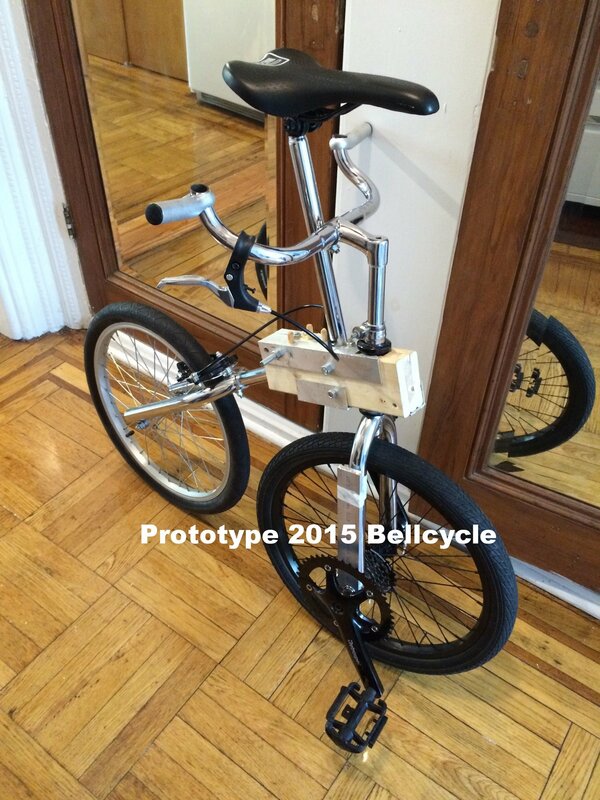 *Use regular bicycle chainrings, chains, pedals, etc to make prototyping as well as manufacturing inexpensive. *Variability is also more simple as a variety of gearing options from front derailleurs, rear derailleurs, triple chainrings, single speeds, fixed gears and the like are all possible as they would on a more “conventional” bicycle.